London Marriott Hotel County Hall is the ultimate in luxury accommodation on London's South Bank. Each of our guest rooms boast stunning 180º views offering an incredible vista across the banks of the Thames. 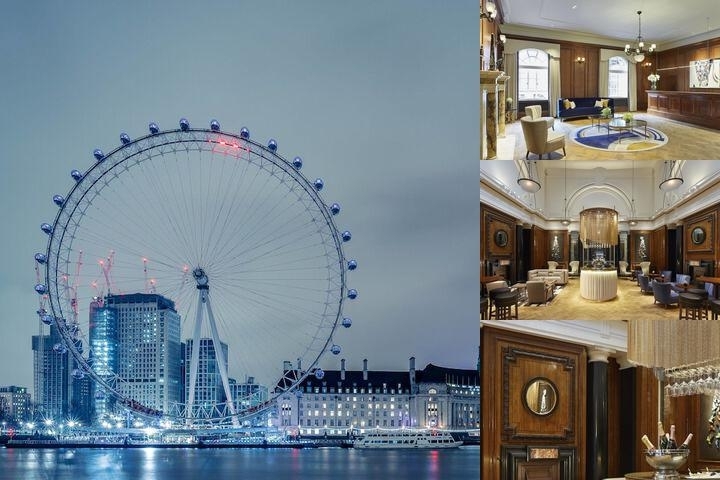 A unique vantage point to gaze at London's cityscape, guests can marvel at iconic landmarks, from the historic to the modern, including Westminster, Big Ben and The London Eye. Offering 206 guestrooms and suites, 11 meeting rooms and a 600 square feet fitness area including 25m indoor pool with natural daylight, London Marriott Hotel County Hall is also home to the best Steakhouse on the Southbank. Gillray's Steakhouse & Bar, accessible directly from Queenswalk is offering local quality produce and the best Aberdeen Steak in the area while taking in the views of London's River Thames and London Eye. For those looking for a more intimate setting The Library invites guests to enjoy daily afternoon tea or dinner overlooking River Thames and Houses of Parliament. Entirely renovated in 2016, all suites capture the subtle essence of great British style whilst echoing the building's incredible history and creating a stimulating environment in the very heart of London. All suites feature upgraded bathroom experiences, lobbies with mosaic flooring and bespoke wallpapers showing historic maps of London. Guests can also enjoy access to our exclusive M Club Lounge, offering complimentary drinks and canapés. Complimentary Wi-Fi in all our public areas.